Im very honored to be teaming with with Prograde, and i recommend it to everyone! Prograde é a minha marca para cartões de memória e leitores. É uma honra cooperar com a Prograde, recomendo os seus produtos a todos! 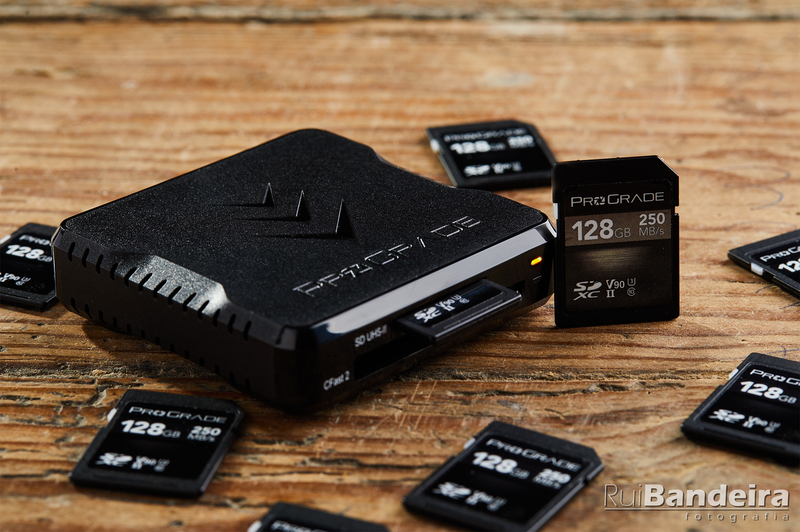 ProGrade Digital SDXC™ UHS-II, U3, Class 10, V90 brings peak performance to premier DSLR, mirrorless, camcorder and digital cinema cameras that produce incredibly rich data streams and require more from a memory card. Get precise capture with no dropped frames when recording 6K, 4K, Ultra High Definition (UHD), plus high bit rate MPEG-4. Guaranteed to operate at a maximum read rate of up to 250MB/s and maximum write speed of up to 200MB/s. V90 ensures that write speed will not drop below 90MB/s. ProGrade Digital SDXC™ UHS-II, U3, Class 10, V60 provides excellent value for the money, and a performance level that streamlines capture when paired with the latest DSLR, mirrorless, camcorder and digital cinema cameras. No dropped frames—even when acquiring data-intensive 4K, Ultra High Definition (UHD) and high bit rate MPEG-4. Cards are guaranteed to operate at maximum read speed of up to 200MB/s and maximum write speed of up to 80MB/s. With Video Speed Class 60, a minimum write rate of 60MB/s is guaranteed. Indispensable for aerial drone, sport, cinema, broadcast video and photography workflows where large volumes of data are the norm. Transfer data at speeds of up to 1.25GB/s (10Gb/s). Provides simultaneous rapid transfer from cards in both slots. Portable and compact, the dual-slot reader is ideal for on-location file back-up. Magnetized bottom connects the reader to a laptop when paired with the included metal mounting plate. Transfer data files at speeds of up to 1.25GB/s (10Gb/s). This reader provides simultaneous rapid transfer from cards in both slots. Indispensable for aerial drone, sport, cinema, broadcast video and photography workflows where large volumes of data are the norm. Portable and compact, the dual-slot reader is ideal for on-location file back-up. Magnetized bottom connects the reader to a laptop when paired with the included metal mounting plate. Transfer data files at speeds of up to 1.25GB/s (10Gb/s). Indispensable for cinema, video and photography workflows where large volumes of data files are the norm, this reader provides simultaneous rapid transfer of data from cards in both slots.